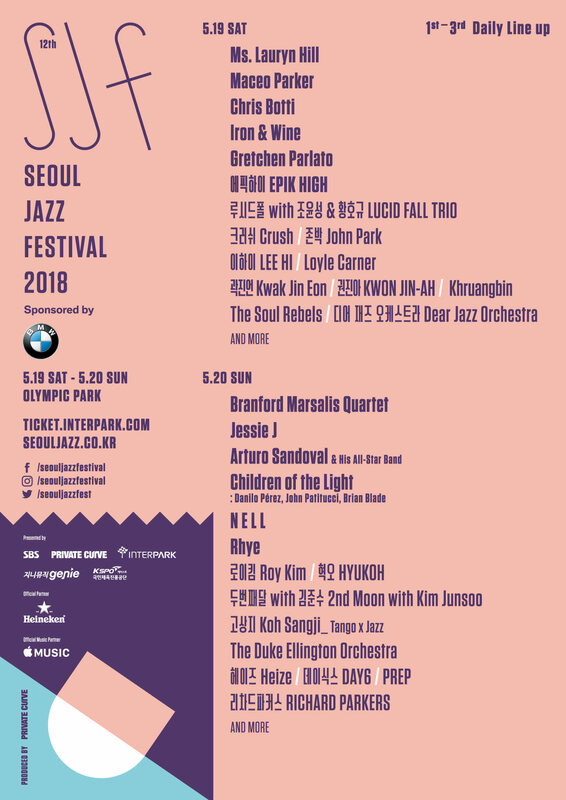 5월 20일(일) 출연이 예정되어 있던 클린밴딧 (Clean Bandit)이 멤버 루크(Luke)의 부상 및 수술로 인한 건강상의 사유로 3, 4월 전미 투어 취소에 이어 부득이하게 서울재즈페스티벌 공연 역시 진행하기 어려운 상황임을 알려왔습니다. 여러분의 양해를 부탁 드립니다. 아티스트의 공연을 기다리셨던 분들께 불참 소식을 전하게 되어 진심으로 유감스럽게 생각하며 루크의 빠른 쾌유를 바랍니다. 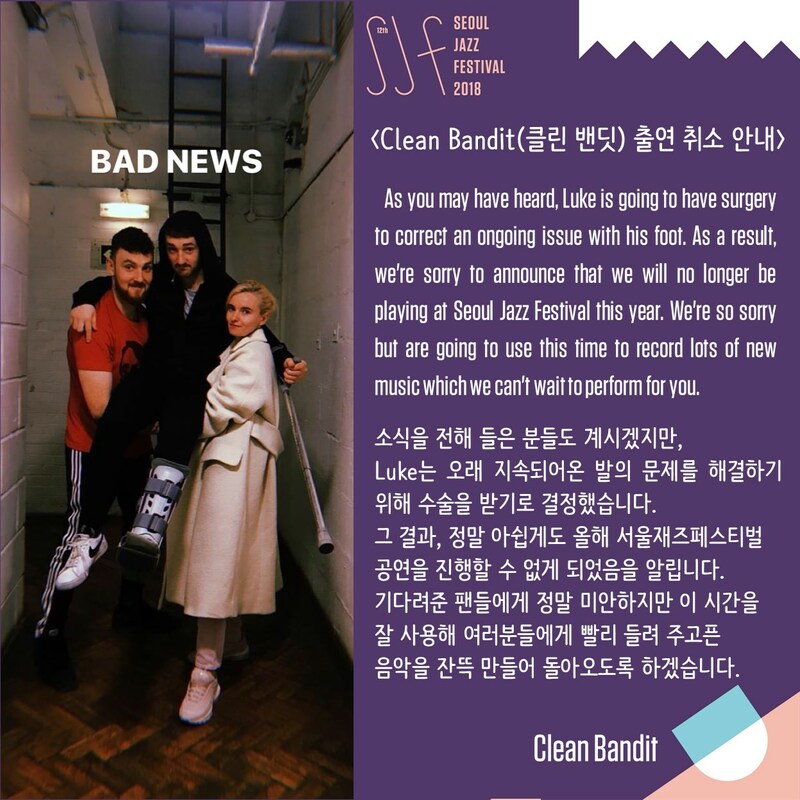 Unfortunately, due to Luke's injury & scheduled surgery, Clean Bandit had to cancel their performance at Seoul Jazz Festival following their March & April US tour cancellation. We are disappointed to deliver this news to you, and we ask for your understanding. We hope for Luke's speedy recovery.